From now through April 30, hop along to all participating blogs for a chance to win a wide variety of familit friendly giveaways! There is no limit to how many you can win, so be sure to enter them all! Mother's Day is next month. 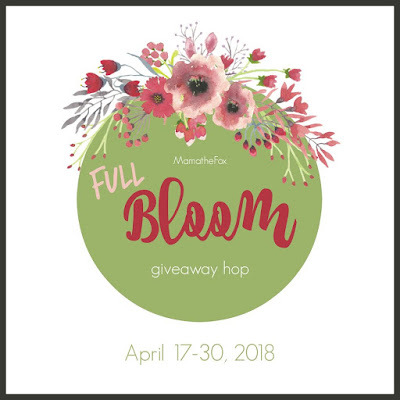 Have you thought about what you want, or what you plan to give your own mom? If you ask me, the best gifts are those that are personal. These are the gifts that truly show that you took the time to get them something 100% unique and didn't just grab the first thing you saw. And if you ask me, nothing says 'personal' than something that is...well... personalized! For that, Personalized Cart has you covered! It’s so common for us to come into the problem of finding a proper gift for others. There’re so many occasions need to prepare, every holiday and memorable day needs a gift. What gift should we choose? How to make it special? It’s the top questions. We’ve thought a lot, and made quantities of tries, and final got the conclusion that personalization is the best idea for a unique gift. We name our website as personalizedcart, and in hope that you can find one ideal gift in our shop. We chose high-quality materials, and make each items with our heart and enthusiasm. In the way of personalization, we learnt many different ideas and designs, and practiced a lot, final got our own way for custom orders. Sounds pretty great, right? When you choose a personalized gift, you ensure that your loved one is getting something that is absolutely, 100% them! I recently had the chance to try out Personalized Cart with one of their custom doormats. Now, they have many great options that allow you to add a name or initial, but I wanted something a little more fun! 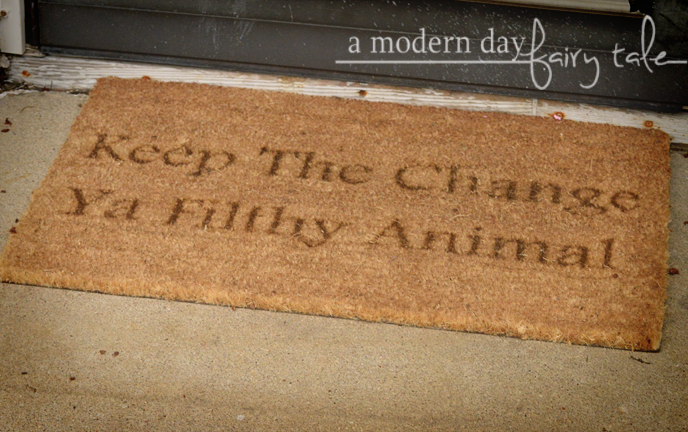 So when I saw one of their examples that read 'Keep the Change You Filthy Animal'... well, I knew it was the perfect mat for us! My son is a HUGE Home Alone fan, and that love has spread to the rest of us. We watch it every Christmas and throughout the year too. So, this famous line? Absolutely perfect and personal to our family. And most importantly, it was beautiful and great quality too! Whether its a name, a quote, a year--- there are many different ways to create the perfect gift for everyone on your list. And the gifts don't stop at doormats! Picture frames, jewelry, puzzles, pocket knives, cutting boards, you name it, they've got it! I personally love the idea of a fun cutting board for mother's day! The perfect gift for the mom who loves to cook. Or thinking ahead to father's day, a great money clip made just for him? A classic gift that will last for years to come! Take a look around Personalized Cart and let me know what gift you most love for the person on your list! I never owned a personalized necklace before! I really enjoy personalized items, since my daughter has such a unique name I love to get her things that she might not be able to find anywhere else. Super cute! My daughters name is Alexy and I can never find her name anywhere. She’d love it! So adorable! Thanks for the giveaway. 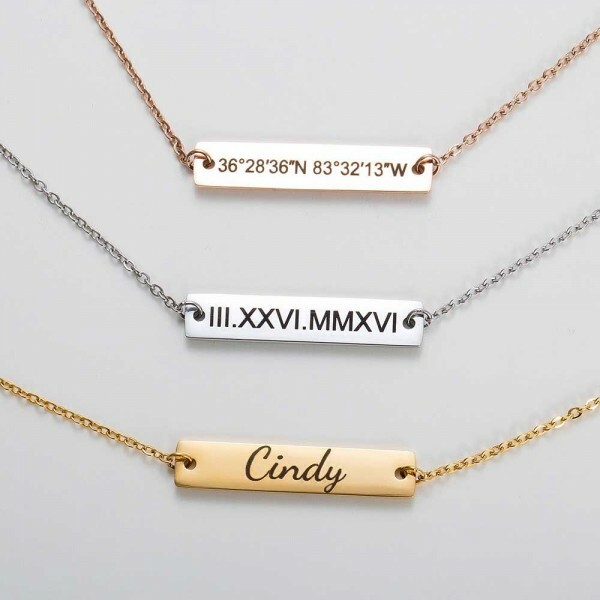 The Monogram Necklace would be a lovely gift to give to my daughter on Mother’s Day from her 2 little girls. I also like their Heart Custom Necklace with a single initial on it. I would be tickled pink if I won this to surprise our adult daughter with for mothers day. She deserves a crown of jewels as far as I am concerned for all the sacrifices she makes to be the best mom possible for her and her little boy as an only parent and we are just so proud and in awe of her. Thank you for this chance. This is such a beautiful peice of jewlery. My mom would love it! These are so cute. 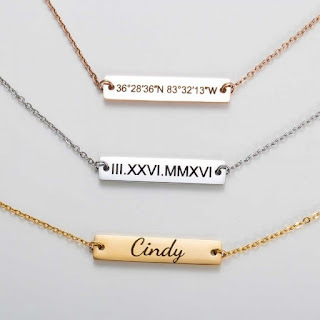 I would love the chance to have a personalized necklace. They are so unique. I would be so excited if I won.